It’s been a heavy week of Microsoft news, so strap in for a taste. For the full dose, head to our Microsoft channel and bathe yourself in posts. I’ll be brief this morning, as every Friday, to allow you a break from work without forcing you to read through your lunch break. Before we jump in, ensure that you are following TNW’s Microsoft reporting on both Twitter, and Facebook, and let’s get into it. This week, Microsoft stated that Windows Phone outsold the iPhone in seven countries. It was a large claim. IDC was behind the data, but the information as to which countries wasn’t available from the start. However, pressure from media brands, TNW included, led to the release of the country list: “Argentina, India, Poland, Russia, South Africa and Ukraine.” The seventh country was the fusion of a number of small markets, such as Croatia. What does this mean? In markets where the iPhone has little to no market share for whatever reason, Windows Phone can beat it. Good news? In a sense. Windows Phone needs to ship units regardless of location; howeverf with three of the seven countries shipping less than 100,000 smartphones from Microsoft in a year, you understand how small of potatoes we are boiling here. 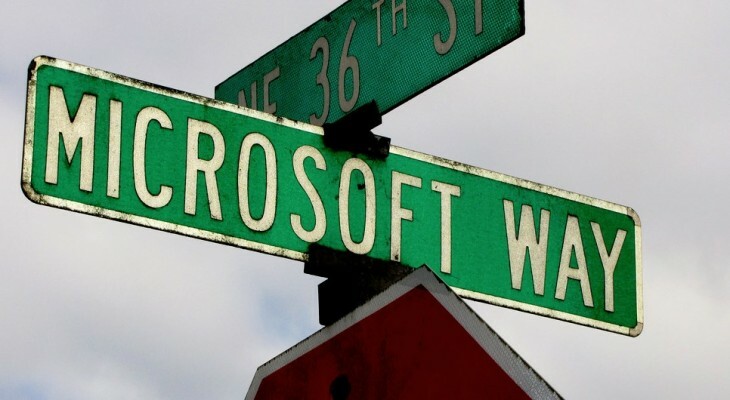 This week Microsoft announced Build 2013, which will take place in San Francisco this June. The company also detailed publicly for the first time the ‘Blue’ update to Windows. It’s real! It’s coming! And it matters. Windows 8 is a quirky operating system. It needs help. It has great promise, but is not at the level of polish and completeness that it needs to sustain the Windows brand through to Windows 9. Note: Windows Blue is not Windows 9. Microsoft has promised a host of updates to other products as well. Build 2013 will set the cadence for Microsoft through the holiday season, and early 2014. TNW will be in full attendance. We are also happy that this round of Build won’t involve the mud of Redmond. Or tents. Not all our news is future focused: Windows 8 updated a number of its core applications recently, and they yanked support for Google Calendar in the process. Google is itself dropping support for Exchange Active Sync. Thus, Microsoft moved its apps to IMAP. This ensures that email will flow. This isn’t a new issue, but merely a continuance of a larger narrative. By ending Exchange Active Sync support, Google is putting its Gmail service into some doubt on Windows Phone devices as well. However, Google and Microsoft managed to patch together an agreement by which Google wouldn’t switch off that key conduit until Microsoft builds support for its CalDAV and CardDAV protocols. This is an incredibly frustrating problem for those using Google services on Windows 8-based devices. However, though Google can be fingered as the problem party as the first dropper of support, Microsoft is the group that will and must take the blame. Either they correct this issue or not. Windows needs to support what it now doesn’t. Yes, it is coming in Windows Blue. Be glad that a feature so obvious that it should have been shipped with Windows 8 is landing eventually. If you are interested in a 1,200 word analysis of the Windows 8/Blue situation, head here. For those of you with work to do, understand this: Windows Blue is a set of feature upgrades and quality-of-life bumps to Windows 8 that will improve the operating system, and boost the ability of Microsoft OEM partners to sell tablets. Windows 8 needs the help. Come Build, we’ll either see code or get our hands on it. Let’s hope it’s the latter.